Brighton Pride raised £100,000 for local good causes last month, Pride director Paul Kemp said. Mr Kemp said: “I am thrilled to be able to announce we have broken our fundraising target for 2016 and matched the record fundraising of our 25th anniversary year in 2015. “This year £90,000 has been raised for the Rainbow Fund and £10,000 for the Pride Social Impact fund. Pride has now raised over £310,000 over the past four years. “It has been a challenging year for Pride. Money raised from parade collection buckets and business contributions towards fundraising is lower this year. 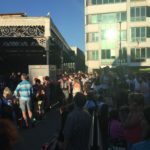 “With many businesses across the city benefiting commercially from the influx of Pride visitors it remains disappointing that more don’t help with the fundraising effort. 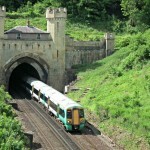 “Over 60 per cent of visitors to Pride come into the city by train and with an announcement by Southern railway to find alternative means of transport and the planned strike from Sunday (7 August) at midnight, clearly this may have deterred visitors to the city and affected business in the city. “Wristband sales for Sunday Pride Village Party this year were down by two thirds. “This year the Pride Parade had the biggest number of participants ever and there were new festival sites across the city. “The Pride Festival in Preston Park has received the best feedback ever from visitors. 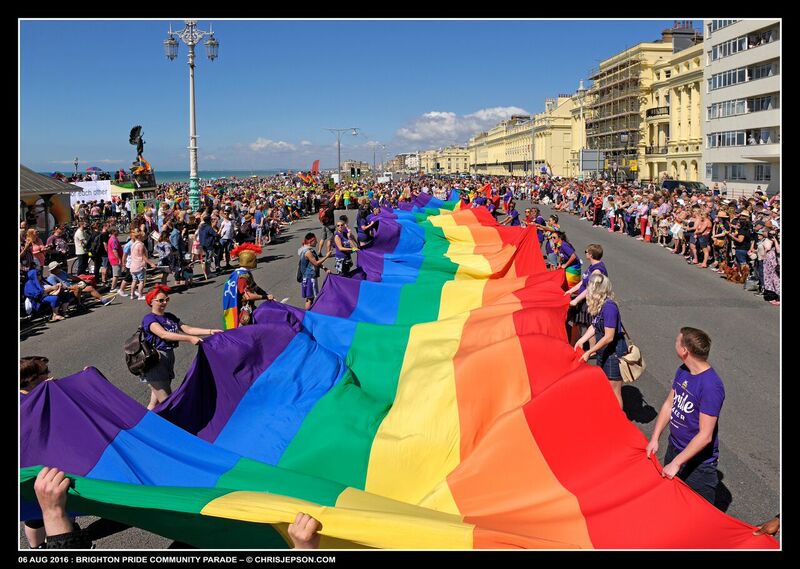 Pride said: “The Pride Rainbow Fund Grant Awards will take place at the Hilton Brighton Metropole in September when grants will be distributed to local charities, community groups and good causes. “In addition to Pride’s continued commitment to our fundraising for the Rainbow Fund, in 2015 we also established a Social Impact Fund from Pride’s additional activities. “Pride will continue to work with community organisations to develop projects and ideas that could be of social benefit to the wider community. 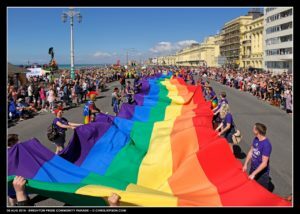 After years of organisational and financial difficulties, Brighton and Hove Pride has been on a stable footing for the past four years. The event is organised by Brighton Pride CIC, a not-for-profit community interest company (CIC). Pride added; “All ticket revenue raised goes directly to the operational and running costs of producing the Pride Festival, LGBT+ Community Parade, Pride Village Party and community fundraising towards the Rainbow Fund and Social Impact fund. Wow! time travel! Someone has come through from the 1950s! Hello time traveller, are you still there? Well done Brighton Pride, excellent job once again.